Anchorage's first-ever wolf-kill program officially began in mid-January, when a Department of Fish and Game employee "opportunistically" shot a wolf on Joint Base Elmendorf-Richardson (JBER). The shooting of Wolf 1003-the number assigned to it by the state-was followed by several more kills. Wolf 1004, snared February 7. Wolf 1005, shot February 12. Wolf 1006, snared February 24. Wolf 1007, shot February 26. Wolf 1008, snared February 28. Wolf 1009, snared March 7. Wolves 1010 and 1011, snared March 14. Including one that was hit by a car in late September, humans have "removed" 10 wolves from the local landscape since the fall. Local wildlife biologists and managers figure a few more wolves still wander the city's edges. They'd be happy to remove those, too, before the last traps are pulled in early to mid-April. But whether or not those survivors are taken out, department personnel consider their wolf-kill effort to be a success. They've "minimized" the threat that local wolves pose to humans. And with bears soon to begin leaving their dens, it seemed a good time to wind down the baited-snare program. From the start, Fish and Game biologists have realized that they'd probably not reach their goal of killing all the Elmendorf-Ship Creek wolves, given the species' elusive nature and intelligence. Now that they've been hunted, the surviving wolves are likely to be more wary of anything human. That too is part of the goal. The bigger part, actually. Fish and Game officials, along with those at JBER, want Anchorage-area wolves to once again fear people, or at least be considerably more wary of us-a condition they believe is more typical of "ordinary" wolves-and steer clear of us humans and our pets. Then everything will be back to normal and we Anchorage, Eagle River, and JBER residents won't have to worry about the dangers posed by "habituated" and "aggressive" wolves. State biologists and managers frequently seem to conflate those two traits, though I'm not convinced they're the same. Neither is independent wildlife scientist and frequent state critic Vic Van Ballenberghe, who has studied the behavior of wolves for several decades. More on that later. Fish and Game regional supervisor Mark Burch assures me that the large majority of local residents support the state's unprecedented effort to eradicate Anchorage-area wolves. If that's true, I am not among them. But I'll admit my attitude toward the wolf-kill program has changed as I've learned more about its roots and rationale. I still oppose the killing, but can at least understand why it's happening. It makes some sense, unlike several other state-run predator-control programs I've opposed. I felt both outrage and dismay when I first heard that Fish and Game planned-or at least hoped-to kill all the wolves that roam Anchorage's margins. My anger was fueled by our state's steadily escalating war on wolves (and now bears), a "control" program that has grown not only geographically, but also in the ways that wolves and bears are killed. In recent years it's seemed that department officials and Board of Game members look for any excuse to kill wolves. Now they'd found a reason to kill wolves near my hometown: The animals had become too habituated, too bold, too aggressive. To inflame my passions even more, the state announced it might use helicopters to take out the wolves, if ground-based shooting and trapping efforts failed. The specter of helicopter "gun ships" aiming at wolves-on a military base, no less-was too much to take. I decided I would learn as much as I could about this extermination effort and then blast away at Fish and Game's latest attack in a commentary. I began by reading stories that had appeared in local media, but that only confused me more; the details and department goals varied from story to story. So in early March I contacted Burch. He confirmed that Fish and Game would eliminate both the Elmendorf and Ship Creek Packs if possible. He also told me that "everyone at Fish and Game" supported the eradication, from area biologist Jessy Coltrane and researcher Sean Farley to Burch himself, and right up the line to Corey Rossi, director of the Division of Wildlife Conservation. I wasn't surprised to learn Rossi supported the wolf kill; given his predator-control leanings, I figured he was probably responsible for the Anchorage program. It turns out I was wrong (more on that later, too). But Coltrane and Farley? I found it hard to believe. Burch also mentioned that the thinking had changed on local wolves. While Rick Sinnott (now retired) and Coltrane had always identified two distinct packs-the Elmendorf and Ship Creek wolves-Farley believed there might be only one large group. None of this made sense. So I sent emails to Farley and Coltrane, only to learn that Burch was the "go-to" guy. I'd have to get the details from him. All of this suggested some sort of cover-up, or at least staff censorship or something similarly diabolical-Farley and Coltrane, the people on the ground, were being muzzled so that upper management could kill more wolves. It turns out that the proposal to kill Anchorage's wolves came from below, not from above. But I would only learn this by talking with Coltrane and Farley, which Burch finally gave me permission to do. That turned out to be a good thing, for both Fish and Game and me. I learned that some of my assumptions had been wrong-things weren't as black and white as I'd first believed. And the department's on-the-ground employees got to explain exactly how the wolf-kill plan evolved and why they've believed it's necessary. First I talked to Coltrane, Sinnott's longtime assistant and now his replacement as Anchorage's area biologist. She made it clear that the local wolf-kill program "started from the Anchorage office, with me, Sean and other biologists. We elevated it to above, not the other way around." She further explained that she and her co-workers first became alarmed when "we started compiling years of data on these increasingly habituated wolves." To learn more about that compilation, I'd have to talk with Farley. But Coltrane did give me some important background. This wolf eradication isn't something that Fish and Game takes lightly. And it's not because wolves are killing a few pets. On average, wolves kill a dog or two-and maybe a cat, or goat, or some chickens-every year along Anchorage's edges, usually on JBER, or the Hillside or in Eagle River, where neighborhoods border Chugach State Park. "If it was just a dog or two that got eaten, we wouldn't be worried," Coltrane told me. "But it's gone beyond that. Wolves are acting aggressively around people; they're not behaving like wolves normally do. People feel threatened." She listed several disconcerting episodes: dog walkers surrounded by wolves, as many as six or seven of them in some accounts; one wolf going after a leashed dog and another trotting right up to a truck; wolves snarling at people and roaming subdivisions in broad daylight. Topping it all was an incident last May, widely reported in the media: a pair of wolves so frightened two women (with a dog) that they climbed a tree and remained there a couple of hours. Nearly all those encounters occurred on JBER or in north Eagle River. "When we saw the switch in the wolves' behavior toward people, we decided ‘this is enough.' We knew we had to act," Coltrane says. A smallish, feisty woman with an easy laugh, Coltrane assured me, "I'm not some trigger-happy person." She's been dealing with human-wildlife relations for some nine years now, most of those as Sinnott's sidekick, and across those years she's had to kill more than her share of moose and bears for public safety reasons. None of it's been easy, she says. I believe her. She adds, "The decision to kill the wolves didn't happen overnight. We've been getting reports since 2007. One reason it took us so long to begin [the wolf-kill] is that the wolves had to tip the scale. When you have wolves coming up and snarling, surrounding a person... Well, their behavior finally tipped the scale." Besides the increased aggression of local wolves, two other factors informed the department's decision to kill Anchorage-area wolves. One was "A Case History of Wolf-Human Encounters in Alaska and Canada," written by state biologist Mark McNay (now retired) and published in 2002 as Alaska Department of Fish and Game Wildlife Technical Bulletin 13. McNay begins his report by noting, "Past reviews of wolf-human interactions concluded that wild, healthy wolves in North America present little threat to human safety. However, since 1970 some cases have appeared in the published literature documenting wolf aggression toward people. A wolf attack on a 6-year-old boy near Icy Bay, Alaska, in April 2000 generated debate in Alaska that challenged previous assumptions regarding the potential danger of wolves to people. At that time there was no recently compiled record of wolf-human encounters for either Alaska or Canada." To fill that gap, McNay did an exhaustive literature search and interviewed dozens of people to compile a groundbreaking case history "that describes 80 wolf-human encounters in which wolves showed little fear of people." He divided those 80 encounters into seven categories and ultimately determined that 39 cases "contain elements of aggression among healthy wolves." Another 12 involved known or suspected rabid wolves and 29 demonstrated "fearless behavior among nonaggressive wolves." The bulk of McNay's report is a case-by-case analysis of the 80 encounters. Based on his study and their own investigation of aggressive wolf behavior in the Anchorage area, both Coltrane and Farley grew increasingly concerned that local wolves were following a dangerous pattern. "Wolf attacks are incredibly rare," Coltrane says. "But when it happens, 99 percent of the time it follows increased levels of habituation of wolves to people. In a way, it's a lot like what we've seen with bears. If any wolf is going to harm anyone, it's going to be one that's habituated to people. And that's what we have: a group of human-habituated and probably food-conditioned wolves." 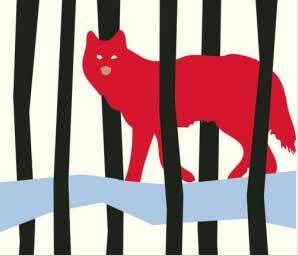 The second influence: Candice Berner's "death by wolves" in March 2010 and a later wolf scare in a neighboring village. Berner, a teacher at the Alaska Peninsula community of Chignik Lake, was found dead after she'd gone for an evening run outside the village. The state medical examiner found the cause of death to be "multiple injuries due to animal mauling" and troopers concluded wolves were likely responsible. Fish and Game later killed eight wolves near the village and is now preparing a final report about that tragic incident. I've been told it won't be finished for several months. By all accounts, Berner's death was only the second ever linked to healthy wolves in North America, and the first in Alaska's history. I think it's also fair to say the circumstances of her death shocked most Alaskans and changed many people's attitudes toward wolves. Nine months later, residents of another peninsula village, Port Heiden, asked the state to kill several wolves that had been wandering through the community. They'd reportedly killed at least six dogs and two cats and become so bold around people they were hard to chase off. Their brazen behavior alarmed residents, made them fearful that a person, perhaps a child, might be next. Villagers killed at least one wolf in what one resident admitted was retribution. On December 9, Fish and Game personnel killed another dozen wolves. Eleven days after that, Rossi sent a letter to Air Force Col. Robert Evans, commander of JBER's 673d Air Base Wing, to emphasize the need for an organized wolf-trapping effort on the military base adjoining Anchorage. Contrary to some media reports, the decision to initiate a wolf kill was made late last summer, long before Rossi's December 20 letter to Evans. In August, Coltrane says, Fish and Game's Anchorage office sent "a formal note" to Rossi. On August 31, department staff met with JBER biologists and conservation officers to discuss the wolf problem. Sometime after that, Fish and Game gave JBER personnel permission to "opportunistically shoot and/or trap wolves exhibiting negative behaviors." And on September 27, department and base representatives met to begin developing "an organized plan to selectively remove habituated wolves from JBER lands." When December arrived and no wolves had yet been killed (except that lone wolf, in traffic), Rossi sent a letter to Air Force Col. Robert Evans, to emphasize the need for a serious trapping effort. He also mentioned the need for "well-coordinated aerial operation" if trapping failed to do the job. Word of the program finally surfaced in the media following the shooting of a young female wolf on January 12. But different journalists reported different goals. Some indicated the state wanted to eliminate only the Elmendorf pack. Others said the plan was to wipe out, or "drastically thin," both the Elmendorf and Ship Creek packs, up to 12 wolves in all. That Fish and Game would target the Ship Creek pack troubled me and others, including members of the Chugach State Park Citizens Advisory Board. The most aggressive wolf behavior had largely occurred west of the Glenn Highway, on military land and in north Eagle River/Birchwood. Sinnott's many years of observations suggested the Ship Creek wolves tend to stay east of the highway, with occasional forays to the west. In fact they seemed to spend much, if not most, of their time in Chugach State Park. To eliminate park wolves seemed extreme. Here, again, things get complicated. Both Burch and Coltrane told me that more recent evidence, much of it from two radio-collared wolves and images from newly installed cameras around JBER, suggested the Elmendorf and Ship Creek packs might not be two distinct groups after all, but one large "unconsolidated" pack. To learn more about that, I'd have to talk with Farley. But whether one pack or two, all the wolves that roam Anchorage's northeastern edges had to go. That's because no one knows exactly which wolves are the bold and aggressive ones. To err on the side of caution, it seemed best-and easiest-to kill them all. Fish and Game's staff emphasizes that wolves are only being trapped and shot on JBER. Any that stay in Chugach Park will be safe. But the more important point, Coltrane emphasizes, is that "We're not permanently eradicating wolves. Wolves abhor a vacuum. Even if we removed them all, within a few months new wolves would move in." The hope and expectation is that the newcomers wouldn't be habituated to people. Coltrane also notes that the killing of 10 or 12 wolves would still leave a couple dozen, perhaps more, within the Anchorage Municipality. Yet that's misleading, because the municipality encompasses a huge area, reaching far beyond the city's margins. Known packs that inhabit the Twentymile River and Knik River drainages can hardly be considered Anchorage wolves. But none of that really matters. If the Elmendorf/Ship Creek wolves happened to be the only ones for hundreds of miles and it seemed unlikely they'd be replaced, Coltrane still wouldn't hesitate to get rid of them all, assuming that were possible. Not after she and Farley had "added all the pieces together." Her calculations showed local wolves to be a clear and present danger. And in the end, public safety trumps all. Like Sinnott before her, Coltrane has a "litmus test" to guide her when deciding whether to pull the trigger. If I let this bear or moose-or these wolves-continue to live, can I go home and sleep at night? In the case of local wolves, the answer had become "No, I can't." The danger seemed too great. And because they couldn't pinpoint which wolves were the problem, all of them had to die. Or at least those that continued to frequent JBER. There's another good reason to kill these wolves now, Coltrane says. Given what's happened in the past year, if one were to kill or even injure a person, "it would be an all-out Armageddon" against wolves. Unlike Mark Burch or Jessy Coltrane, Sean Farley comes from the research end of things. A bearded, stocky, no-nonsense sort of guy whose willingness to express his opinions have occasionally gotten him in trouble with Fish and Game's upper management, Farley is best known for his bear research, but he also works with other critters. In 2009 he began a new study of moose, bear, and wolf movements on JBER. Tracking the animals meant first fitting them with radio collars. In early summer 2009, Farley set out a handful of leg-hold traps near an active wolf den. The traps were unbaited, so they wouldn't attract any bears, and they had "rubber between the jaws and one spring removed" to minimize injury to any animals they caught. He captured and collared his first JBER wolf on June 23, 2009: a lactating female, likely the pack's alpha. Soon after that, wolf pups began their first forays from the den. Farley stopped trapping for the rest of the summer, because even rubber-insulated traps would harm the young wolves. Late that fall, after bears had denned up and Farley prepared to resume the research trapping, his assistant happened to mention, "By the way, Sean, if we catch a large black wolf, Rick [Sinnott] said to kill it." He recalls being a bit peeved. No one had informed him that some JBER wolves had been behaving aggressively toward people and thus targeted for removal. Determined to learn more, he called a meeting and made it clear that "if we have a public safety issue, it's no longer research," but wildlife management. He also tossed out this scenario: "What if a wolf bites, mauls, or kills someone and it's collared? People are gonna say, ‘Wait a minute. You caught this animal and then let it go?' That wouldn't pass the red-face test." At the time, it appeared only a couple of wolves were overly bold. Fish and Game staff agreed to proceed with the wolf trapping, but now as a management, not research, tool. If one of the "problem" wolves were caught, it would be euthanized. Any other wolves would be collared and tracked, to learn more about the local packs. The second and last wolf to be live-trapped for collaring was a 76-pound adult female, assumed to be a member of the Elmendorf pack. Her collar, unlike the earlier one, had a GPS unit that recorded the wolf's location every two and a half hours. Attached in February 2010, the collar remained on the wolf until October, when it was programmed to drop off the wolf. Farley, like other state and JBER personnel, didn't believe the wolf problem to be too serious until spring and early summer of 2010, when both the number and type of wolf-human encounters escalated significantly. He was especially troubled by the wolves that "treed" the two women. To get a better picture of what appeared to be a growing problem, Farley decided to compile a complete list of wolf-incident reports. "A lot of different people had been dealing with the wolves," he explains. Besides Fish and Game staff, they included biologists, "game wardens," MPs and other security personnel from both the U.S. Army and Air Force. And they'd kept no central database. The list of Anchorage-area wolf-human encounters stretched back to 1995. More recently, incidents had occurred annually since 2007. His master list includes six entries for that year, three for 2008 and 11 for 2009. "But when you get to 2010," Farley says, "there's an explosion of reports." Between May and November, 29 encounters were reported. "You look at the list and go ‘holy crap.' If someone had gotten injured by a wolf, given all these earlier encounters, we would have looked stupid." And arguably negligent. Startling enough in themselves, Farley adds, the local "explosion" of encounters followed "right on the heels of Chignik Lake." Until last year, Farley had been among those to believe wolves presented no danger to humans. But his attitude began changing in the wake of Berner's death. They shifted even more when growing evidence showed that several local wolves-not just one or two-had begun to act brazenly around humans and "invade" residential areas. The incident reports, combined with JBER security cameras and others mounted near gut piles (from moose killed by human hunters), eventually convinced Farley that "10 or more wolves had become highly habituated to people." Not simply habituated-food conditioned, too. Farley and Coltrane (and Sinnott before he retired last summer) heard stories of wolves approaching people at the military's Moose Run Golf Course. One wolf had reportedly jumped at a person driving a golf cart. "If that was true, the wolves had to be getting rewarded," Farley says. "We figured people might be flinging them sandwiches. Or maybe they were getting into trash cans." There was also increased evidence that wolves had been getting into homeowners' garbage and perhaps dog food on JBER and in Eagle River/Birchwood. Besides that, some had apparently grown adept at grabbing pets. The association of dogs with humans complicated matters. Not only did wolves go after dogs in yards, on at least a few occasions people walking their dogs or running with them were followed by wolves that wouldn't be chased off. One guy jogging with his dog finally flagged down a passing vehicle because he was so intimidated by a group of wolves. Whether garbage or pets were the attraction, wolves were more frequently venturing into subdivisions. "We had sightings of wolves walking up to homes, up to garage doors," Farley says. "You couldn't help but think, ‘What if a two-year-old child had been out in the yard, got scared, and took off running, and that elicited a wolf's chase response?' All of a sudden we're not talking cats and dogs. You have to up the ante when wolves present a danger to people." That visual evidence would later be supplemented by data provided by the wolf Farley had collared in February. When her discarded collar was collected and analyzed last fall, several GPS data points showed that she repeatedly visited the Moose Run housing subdivision between May and August. "This wolf clearly had a routine of visiting that subdivision, which strongly suggests she was getting some kind of reward," Farley says. "It's really unlikely she was alone. Whatever the number, we've got wolves walking down the street of a residential area. That's not appropriate behavior for a wolf." Given Berner's fatal mauling, McNay's study, and the increased evidence of aggressive behavior shown by highly habituated and likely food-conditioned local wolves, by August 2010 Farley concluded the state had no choice but to "cull all the wolves" within the Anchorage area. "The only question then," he adds, "is who would do it, and how." Fish and Game staff realized this could get complicated, given the state's already controversial predator-control efforts. "We knew some people might consider this just another wolf-whacking program, but we couldn't worry about that," Farley says. "Our highest concern was public safety." Farley believed that the most efficient-and humane-strategy was to lure wolves into bait stations and shoot them while they fed. "They were already conditioned to come into gut piles," he explains. "We had pictures of up to seven or eight wolves feeding at one time. It's a perfect situation for a couple of sharpshooters." Two factors defeated that idea: public perception and public safety. Department managers were apprehensive, worrying the image of "snipers" would create its own public-relations nightmare. More importantly, state and federal officials worried such shooting might present its own danger, however remote. Farley also liked the idea of shooting wolves from helicopters, though that too presented public relations problems. But what ultimately shelved that idea were the logistical challenges of doing an aerial wolf-kill program on the base. Given all that, department staff and JBER officials eventually agreed on a snaring program, with additional shooting of wolves when opportunities presented themselves. Besides alerting Fish and Game to the increased presence-and potential danger-of habituated wolves, data compiled from cameras, increased wolf sightings, incident reports, and radio-collar signals also prompted Farley to question the long-held belief that Anchorage and JBER's wolves belonged to two different packs, one of which-the Ship Creek wolves-largely inhabit Chugach State Park, with occasional forays into neighborhoods or the military base. Wolves normally defend their territories from other packs, but here, Farley says, the evidence has increasingly suggested the two local packs move back and forth onto each other's turf. Or else they share that turf. For now the question of one pack or two is a moot one. Whether Elmendorf and Ship Creek wolves belong to one pack or two, all were implicated as potential "problem" animals and thus targeted for removal. Farley, Coltrane and Burch all agree that, "in terms of public safety, one pack or two has become irrelevant." Once local wolves have again become more wary of people, maybe then it will be time to resume radio-collaring wolves, to learn more about their movements and territories. One of the things that's become increasingly clear this past year is how little wildlife biologists and managers really know about the wolves that roam the edges of Anchorage. What seemed straightforward to department staff only a couple weeks ago recently got more complicated. While Fish and Game is content to lump all local wolves into a single pack, others are not. On March 23, chairman Gary Gustafson sent a letter to Burch on behalf of Chugach State Park's Citizens' Advisory Board, to protest the killing of wolves belonging to the Ship Creek pack, "whose territory is primarily on the east side of the Glenn Highway within Chugach State Park [and] has not been documented to attack or threaten people." Describing the Ship Creek wolves as "an important part of the park's biodiversity," Gustafson wrote that their killing "is an unnecessary overreaction, and was planned and begun without public notice or input. The public is largely unaware that ADF&G is already in the midst of eliminating most or all of Chugach State Park's wolves." Furthermore, "there is no assurance that other lethal means will not be used [after the baited-snaring ends] to kill any remaining wolves in both packs. For instance, wolves might be trapped near their den sites by unbaited trail sets and pups could be taken from dens and killed." Given all this, Gustafson requested that any further killing of Ship Creek wolves be stopped until the department conducts public meetings. As it has made the rounds among local wildlife conservationists, the advisory board's letter has generated considerable alarm and anger. It appears many local residents haven't opposed the local wolf-kill effort because they didn't realize its targets included "park wolves." Local sentiment has already begun to shift, as word of the wolf-kill's reach spreads through Anchorage. Not that it matters much at this point. Fish and Game has already done most of the damage it intended to do. As Burch puts it, "we feel the public safety risk has been mitigated." In the wake of Gustafson's letter, Burch sent out a press release announcing the Anchorage wolf-kill effort to be "successful." The statement implied that Fish and Game was ending the program, though it didn't state so explicitly. Since then, Burch has assured me that the trapping effort is indeed shutting down, with all snares to be pulled by mid-April. Once they're gone, "the active effort to take wolves will cease." Because pups aren't born until later in the spring, he says, "it's unlikely that we will orphan pups or be faced with taking them from the den." However, wolves will still be closely monitored and it's possible that additional aggressive behavior might require more wolf kills, even if one is a lactating female. Burch also explained that the department does not seek public input or other "public involvement processes when public safety is at stake. The public expects us to act prudently and decisively in such circumstances." And he insists, "Contrary to claims in the letter, we were very open with the public about our intentions with this program." Besides that, media coverage has been substantial. And public comments, he repeats, have been "overwhelmingly supportive." One other press release item: To better understand their dietary preferences, bone, hair, and tissue samples from the dead wolves will be analyzed. This might show how dependent they'd become on pets, dog food, and/or garbage. It may also help staff better understand the relationships of habituated local wolves to one another (at least the dead ones). Slowly and reluctantly, I've come to accept the local wolf-kill effort, the reality that public safety trumps everything else, that Fish and Game staff can't risk the possibility of a wolf attack no matter how remote the odds, given all that's happened over the past year. Still, some things about this killing have continued to bother me greatly, for instance that all local wolves must die. I am relieved to hear the program is "winding down" and that some wolves remain. But like the Chugach advisory board, I believe some park wolves have been unnecessarily "removed" because of guilt by association. I'm also angered that, as with bears, humans have contributed greatly to this local "wolf problem" through the feeding of the animals, whether intentional or not. As Farley points out, the only way to understand the wolves' behavior is to assume they've been rewarded in some way, whether with garbage or dog food or sandwiches at the golf course. Wolves, like bears, are curious and intelligent critters. I'm convinced that problems begin when they learn to associate people with food. The promise of food overrides innate wariness. This idea of food conditioning ties into something else that troubles me: Intentionally or not, Fish and Game has been sending the message that habituated or human-tolerant wolves are inherently dangerous. In my experience, that's just not true. Like long-time wildlife researcher Vic Van Ballenberghe (and many others), I have spent time in the company of Denali National Park's highly habituated wolves and never felt threatened or sensed aggression. While some may dismiss me as simply a wolf lover (though I would argue a well-informed one), Van Ballenberghe is a widely respected wildlife scientist whose views carry considerable weight among his peers. It's notable that he's commented, "Are human-tolerant wolves apt to injure or kill people? A lot of evidence in Alaska and elsewhere indicates that healthy wild wolves become dangerous only when fed. When unfed wolves are not shot or trapped they adapt to the presence of people and pose virtually no danger. "Examples of this include Denali National Park, where no one has been injured by a wolf in the past 90 years. Wolves in several packs there became tolerant of people and vehicles, approaching to within a few yards with little fear. In my fieldwork there I have been near wolves dozens of times over the past 30 years and never had a wolf act aggressively." A long-time Anchorage resident, Van Ballenberghe has proposed that instead of killing wolves, "we should teach people how to behave near wolves. As with any large wild animal, people should be cautious when near wolves and should know some basic rules. Pay attention to your surroundings when in wolf country. Don't run from wolves (or bears)-stand your ground. Don't jog near wolves with a headset on that prevents hearing approaching animals. Carry pepper spray. Don't let dogs run loose near wolves and keep them indoors at night. And never feed wolves. "With wolves near our urban centers, we need not let excessive fear dictate our actions. There is a long record of wolves co-existing with people in Alaska and there's no reason to believe this cannot continue." I'm encouraged that Fish and Game, too, recognizes the need to disseminate "living with wolves" guidelines among Anchorage-area residents. Agreeing, "A very heavy educational program is going to be necessary," Coltrane has assured me the department plans to begin such an effort this year. It's too late for the nine wolves snared and shot this winter. But we human residents of Anchorage need to accept more responsibility if we want to co-exist with wolves-or bears or moose-as I believe most of us do. When we stop feeding the wolves that roam our city's edges, there will be no reason to fear them.